Clio has started her dream business, Cedarwood Lodge is everything she's ever wanted. It's a place where people can come to celebrate. She loves organizing weddings, she wants to bring people the joy of good food and she likes making someone's dream party become reality. Clio doesn't do this on her own. She has the help of one of her best friends, Micah. He will manage the business with her. However, soon Clio gets more company, city girl and other best friend Amory likes Cedarwood Lodge, so she stays a lot longer than she planned. There's plenty of work that needs to be done on the lodge and gorgeous Australian builder Kai supports Clio in many ways, he does much more than just the building she's hired him to do. Will Clio's business become a success and is there a chance she might even find love? Clio is having a great time with her created family, however, with her real family things aren't going so well. Clio and her mother are having problems and Clio doesn't know what's the cause of her mother's distance. Clio wants nothing more than to make things right, but her mother isn't willing to share any feelings and keeps her secrets. Will Clio ever find out the truth and which role does her lodge play in her mother's reluctance to bond with her daughter? 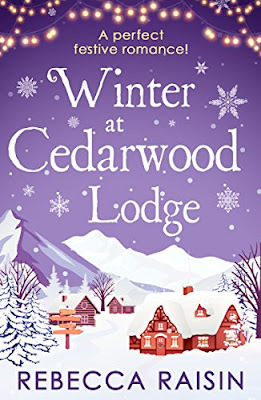 Winter at Cedarwood Lodge is a wonderful heartwarming story. Clio is kindhearted, generous and friendly. She wants to make everyone around her happy and she will do anything for the people she loves. Her personality is truly amazing. I especially enjoyed reading about Clio's relationship with her friends. Their adventures put a big smile on my face, I love a cheerful feelgood story. Rebecca Raisin knows exactly how to set a fabulous atmosphere and her stories truly sparkle, which is something I like a lot about her work. Cedarwood Lodge is a fantastic setting. It's welcoming and cozy. It's a place with character, which combines well with the quirky personalities of the main characters of Winter at Cedarwood Lodge. I like a good winter story, it's a lovely time to read about and Rebecca Raisin skillfully uses everything that makes the season great to make her story come to life. To balance the sweetness and light there's a nice layer of depth due to Clio's family history, which brings the exact right amount of seriousness. I really loved this terrific romantic, charming, entertaining and fun book and highly recommend it. If you love feelgood stories with plenty of interesting main characters you should definitely read Winter at Cedarwood Lodge. It's a collection of three novellas, previously published as the At Cedarwood Lodge series, and bonus material has been added. Enter this giveaway for a chance to win a book of choice released in December 2017 worth $15. Good luck! Because of her famous boyfriend Emma was used to constant publicity, but now that he is her ex she'd rather hide. She's broke and alone and has to start over. To stay under the radar she rents a room in Crickleford, a quiet town where people hopefully don't know who she is. Small town life might be peaceful, but the inhabitants of Crickleford are also curious about Emma and she can't give them the truth. That's why she makes things up, but is it such a good idea to tell people lies? One of the things Emma wasn't truthful about is the kind of work she does and this lie is getting out of hand quickly. Before she knows it her pet-sitting services are being requested by many people. This isn't the kind of job Emma is looking for, but she's great with pets and she likes spending time with them more than she thought she would. 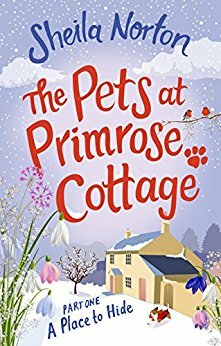 Will staying at Primrose Cottage bring Emma her much needed peace and quiet or will she mess things up for herself? The Pets at Primrose Cottage: Part One A Place to Hide is a promising beginning of a series. I immediately loved Emma. She doesn't know how to stay out of trouble, she makes things difficult for herself and she makes the most fabulous impulsive decisions she usually later regrets. She's fierce, kindhearted and soft at the same time and this combination makes her incredibly interesting. Sheila Norton writes about her with warmth and humor and that combination works really well. The Pets at Primrose Cottage is a story about a fascinating small town. Crickleford has several fabulous inhabitants I'm curious to read about again. I'd also love to find out more about Emma's secrets. It's clear from the start that she's hiding something and I like it when a main character's circumstances are mysterious. Sheila Norton has written a fun first part of a series, a story that often made me laugh, and I can't wait to read the rest of Emma's adventures. 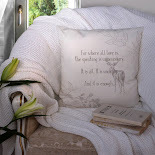 If you love reading about small towns, animals and secrets The Pets at Primrose Cottage would be an excellent choice. Keep in mind that this is the first story in a series, so there's an open ending. Rora and Ursula are back in Hastings, the place Rora left behind after many traumatic experiences. Rora's father is dying and even though their relationship deteriorated quickly after the death of Rora's mother when Rora was a lot younger, they even lost contact, Rora wants to say goodbye to him. Ursula was being bullied and Rora wants to keep her daughter away from these horrible experiences, so the journey comes at the right time. Rora tries to protect Ursula, but can she be there for her daughter when Ursula needs her the most? While Rora is in Hastings she inevitably runs into Carl, the man who used to be the love of her life. Rora fled twelve years ago and left what they had behind. What happened between them and will they be able to reconcile? Meeting Krystof, someone wonderful who moved to Hastings after Rora left, complicates things even more. 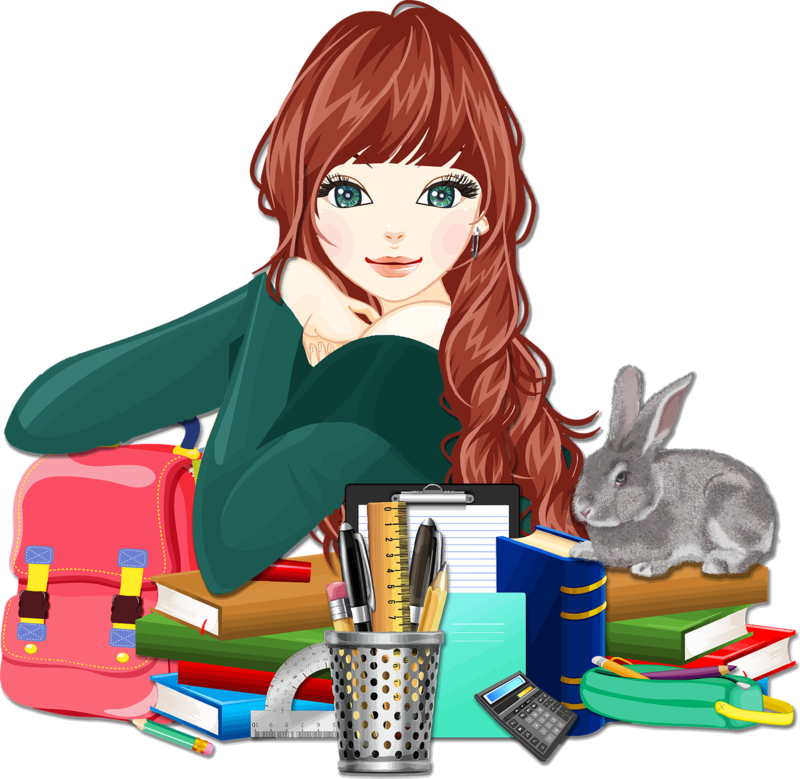 Rora likes this man and wants to spend time with him, but does she feel enough not to break his heart and how can she keep the past and the present apart? How will Rora deal with all the confusing situations that she can't help but get involved in and was coming back to Hastings really a good idea? This Last Kiss is a beautiful poignant story. Madeleine Reiss tells Rora's history through significant kisses, which is a fantastic original approach. It's clear from the start that Rora left Hastings in a hurry keeping secrets from the people that stayed behind. Of course there are reasons for this and I couldn't turn the pages quickly enough to find out what they were. Rora is a kindhearted, but damaged woman. She's a loving mother who wants to protect her child, but can't always do this. Rora didn't have an easy childhood herself and she knows what it's like to suffer. She has a difficult relationship with her father and it was interesting to see every emotional layer behind it. 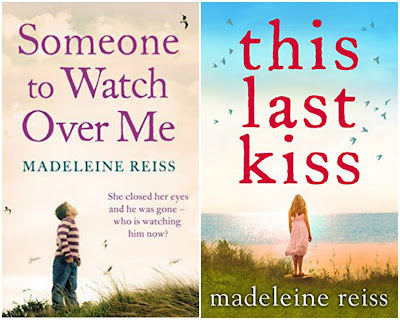 Madeleine Reiss understands how feelings work, how deep they can go and what their consequences are and that is one of the many things I admire about her writing. 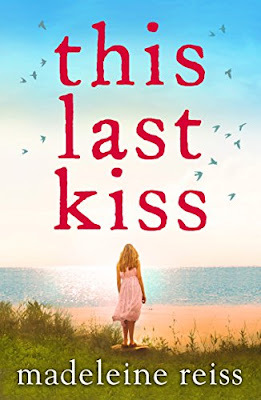 This Last Kiss is a moving story filled with unexpected twists and turns. Madeleine Reiss alternates between the past and the present and she does this in a compelling way that made me anxious to keep reading. I love it when a book surprises me and This Last Kiss managed to do that in plenty of different ways. I often had tears in my eyes while reading this novel. It's sad, but hopeful and it's heartbreaking, but healing at the same time. I absolutely loved this fantastic story about true love, complex relationships, grief, second chances and family. If you love beautiful emotional stories about life, love and second chances This Last Kiss is an absolute must-read. Madeleine Reiss was born in Athens. She worked for some years in an agency for street performers and comedians and then as a journalist and publicist. She has two sons and lives in Cambridge with her husband and her younger son. I live in Cambridge and I am the mother of two sons, both of whom have left home now. I became a grandmother for the first time this year and although the idea took a bit of getting used to, I have been surprised by the love I feel for my grandson. You think you only have a certain amount of love to give, but I’ve discovered it can stretch forever. My first husband died of a brain tumour when he was only 30 and the experience changed me even though I was fortunate enough to meet and fall in love with another man with whom I had my second son. 2) What inspired you to write about the amazing topic of kisses? It’s always difficult to say where ideas for books come from, but I thought it would be interesting to try and chart the progress of a love story by focusing each chapter on a significant kiss. It gave the book a structure, which was helpful since I am not a natural plotter! The first spark for ‘This Last Kiss’ came when I saw a boy on the pier in Hastings when I was visiting the town and something about him captured my imagination. He seemed intact yet vulnerable in some way and I began to imagine his story. 3) You write about bullying in a beautiful empathetic way, how do you prepare to write scenes as difficult as that and how do you find the exact right emotion behind them? I am pleased that you think these parts of the book worked. I am always cautious about writing about issues that people may be experiencing themselves since I would hate to get it wrong. I wasn’t bullied as a child but we all have times in our lives when we feel alone and unsure of ourselves. I was born in Athens and lived there as a child and so I have always felt a bit of an outsider and that helped to get me into Ursula’s head a little. Children can be cruel to each other and childhood is fraught with fear and bewilderment and I hope I managed to capture that feeling. 4) Can you describe the main characters of This Last Kiss in six words each? Carl, my hero is damaged, tough, brave, handsome, guilty and loyal. Rora, the main protagonist is uncommunicative, reflective, stubborn, loving, imaginative and acerbic. Ursula, Rora’s daughter is feisty, individualistic, precocious, impulsive, hopeful and clever. Krystof, the other corner of the love triangle is funny, adventurous, tender, awkward, creative and optimistic. 5) You also work at a brain injury charity, can you tell a bit more about it? I need to do another job since writing novels is not the most lucrative of professions unless you are one of a select few, which sadly I am not! In any case I think it is a good idea if writers do other sorts of work alongside their writing. It gives them the chance to remain connected to the outside, ‘real’ world and hear conversations and meet different sorts of people. Being alone at your desk all the time can drive you a little mad. My work at Headway Cambridgeshire continually serves to remind me just how fortunate I am. I need reminding of this regularly since I am something of a moaner! Brain injuries can happen to anyone - a fall, a car accident or a stroke all can result in life changing disabilities. I am inspired all the time by the way our clients face their considerable challenges and find ways of moving forward despite their changed circumstances. 6) How did your writing journey start? Although I was always scribbling things as a child, I came to writing novels late. I wrote for magazines and newspapers for many years but I was fifty when I published my first novel. I come from a family of writers- my late father was the Booker prize-winning novelist Barry Unsworth and both my sisters write too. It was inevitable that I would get sucked in, although I resisted it for a long time! 7) Where do you write and do you have a routine? I have a lovely old desk that used to belong to a sea captain. It is my only really antique item of furniture. It has lots of little drawers and cubbyholes and is littered with pebbles and photographs and notebooks that I buy compulsively. I write three days a week and try to be at my messy desk by 9.00, although there are many, many days when I get distracted by other jobs or the lure of the latest episode of a series I am watching on Netflix. I aim for 2000 words a day and always re-read what I have written the day before and make changes. Sometimes I delete every word! 8) What do you like to do when you aren’t writing or working for the charity? I watch the aforementioned box sets on Netflix. I read a lot. You can’t really write without reading because other peoples’ work teaches you so much. There are writers that I will never be as good as, but perhaps something of the way they put words together creeps into my head. I love the sea and the countryside and a walk always sooths and comforts me. Recently I have been spending some time with my grandson and re-learning the art of putting on nappies and driving a pram. It is amazing how quickly you forget even the basics. I enjoy spending time with friends and family around a big table with lots of wine and good food. There is nothing better than being with people you love. 9) How was it to write a winning story? My first novel ‘Someone To Watch Over Me’ came about in such a strange way. I was just about to turn fifty and was feeling a little glum about the way my life was speeding past and my mother suggested that I enter The Alan Titchmarsh writing contest that was being advertised on TV at the time. She said all I had to do was write three chapters. I said no for ages, but in the end she wore me down and I cobbled together the necessary chapters from some notes I had written years before. I posted my entry and forgot all about it and was amazed when I was asked on to the show for the semi final and then the final. I was in a complete daze as gold, plastic rain fell all around me and I was told I had won a publishing deal. My feeling of triumph didn’t last very long because I realised I had to write the rest of the book! My third novel ‘Before We Say Goodbye’ is coming out on the 22nd February 2018 and I hope a few people are kind enough to read it. I am currently writing my fourth novel, which is in its very early, first draft stage and feels a bit daunting. As to the rest of what is to come, I will just try to enjoy as much of it as possible (without moaning) and hope that there are always people around me with whom I can share both the good times and the bad. 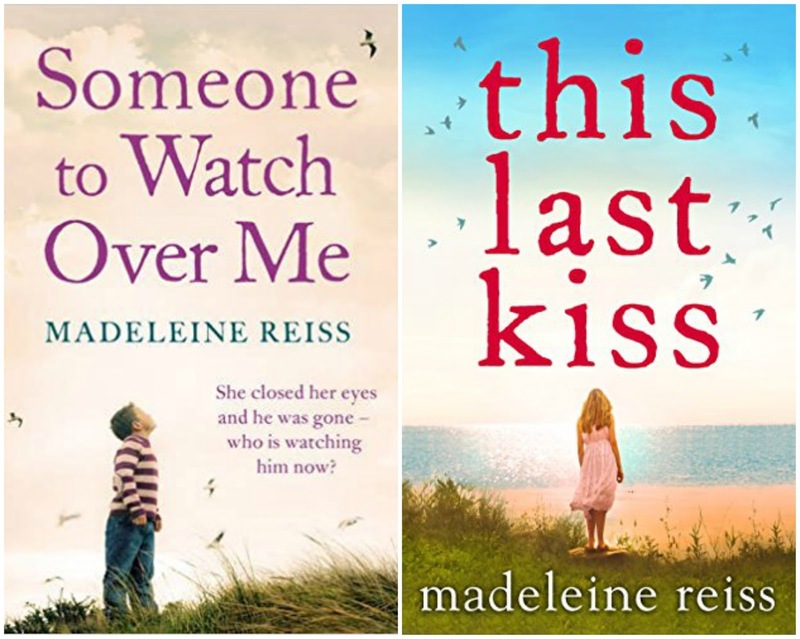 One very lucky reader of With Love for Books will win signed paperback copies of Someone to Watch Over Me and This Last Kiss by Madeleine Reiss. Enter this giveaway for a chance to win eight fantastic books. Good luck! 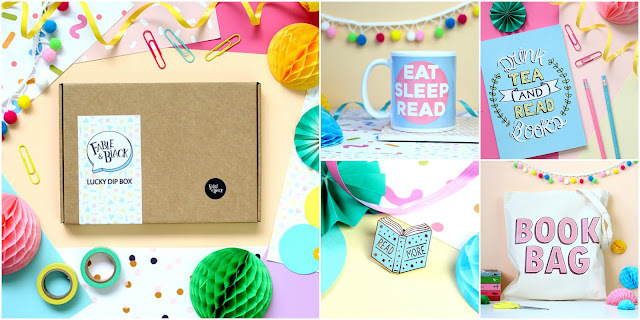 Enter this giveaway for a chance to win a Fable & Black Lucky Dip bookish surprise box, Eat Sleep Read mug, Drink Tea and Read Books notebook, Read More pin and Book Bag. Good luck! Amanda and Tess don't like each other very much. They share the same house, but Amanda would love to get rid of Tess, who's an unwelcome tenant she and her husband Richard can't evict. Amanda and Tess have something in common though, they're both lonely. Tess's heart was broken a long time ago and she hasn't been able to let anyone come close ever since. Amanda's marriage is loveless and cold, her so called friends don't really care about her and her children aren't that nice to her either. Wouldn't it be beneficial for Tess and Amanda to get to know each other? Amanda and Tess are both stubborn and taking the first step towards reconciliation isn't an easy thing to do. Fortunately they get help from a cheeky cat and Amanda's worried daughter. Slowly a connection is being formed, but will they be able to actually like each other after many years of animosity and what will change in both of their lives when Amanda and Tess start to let people in again? The Girl I Used to Know is a fantastic original story. Tess and Amanda are completely different people and it was fun to see their interactions. At first they're hostile. While they shared the same house for many years they never tried to find out anything about one another, they just existed in the same place without the effort of getting to know each other. However, situations can change and when they do in this story things become incredibly interesting. Tess has a fantastic way of expressing herself and her comments often made me laugh. Amanda has a lot more to offer than she's showing people and I was curious to find out more about the person she was behind the superficial facade she's given herself to please her husband. I was intrigued from the start because of the dynamics between the main characters, the hostility, the hope and promise the situation offers and the large number of possible outcomes of the story. I couldn't turn the pages quickly enough to find out where it would lead. 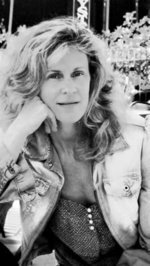 Faith Hogan has a wonderful warm writing style. Her stories are filled with surprises, she doesn't make it easy for her main characters and she knows how to effortlessly explain complex emotional situations. She skillfully writes about feelings and I love how she always knows the exact right thing to say. 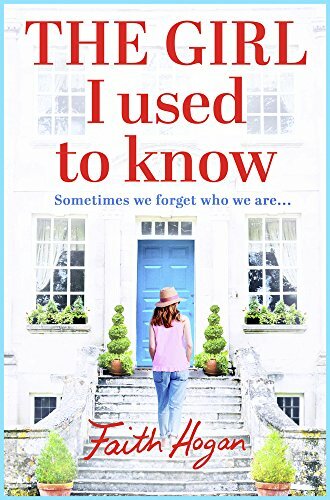 The Girl I Used to Know is a story about betrayal, friendship, love and choosing to live. It's a fantastic inspiring story. I was entertained, charmed and compelled and I highly recommend this beautiful book. If you love amazing stories about friendship and complex relationships you should definitely read The Girl I Used to Know. 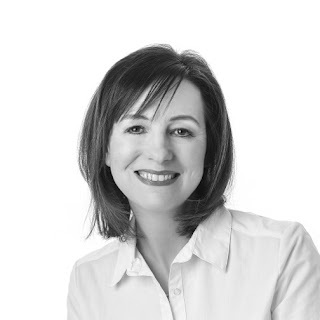 Like most writers I didn’t take the direct route into publishing, I gained an Honours Degree in English Literature and Psychology from Dublin City University and a Postgraduate Degree from University College, Galway. I have worked in all sorts of jobs, as a fashion model, an event’s organiser and in the intellectual disability and mental health sector. The constant throughout has been a love of books! I have read and written all of my life. For many years, I wrote scraps of poems, just joined up lines of thought, that conveyed life as I saw it. My ‘everyday poetry’ was written in waiting rooms, on serviettes, left over note books and sometimes stuffed into the back of my wallet! When I began to write longer fiction, the experience was very different, sometimes the thread would come from overheard words or a notion of ‘what if…’ For the novels, I needed quiet, time and a little planning and structure. My first attempt was a ramble of long narrative that brought me along for eighty thousand words and left me feeling incredibly fulfilled. I could do it. I could actually write a novel. 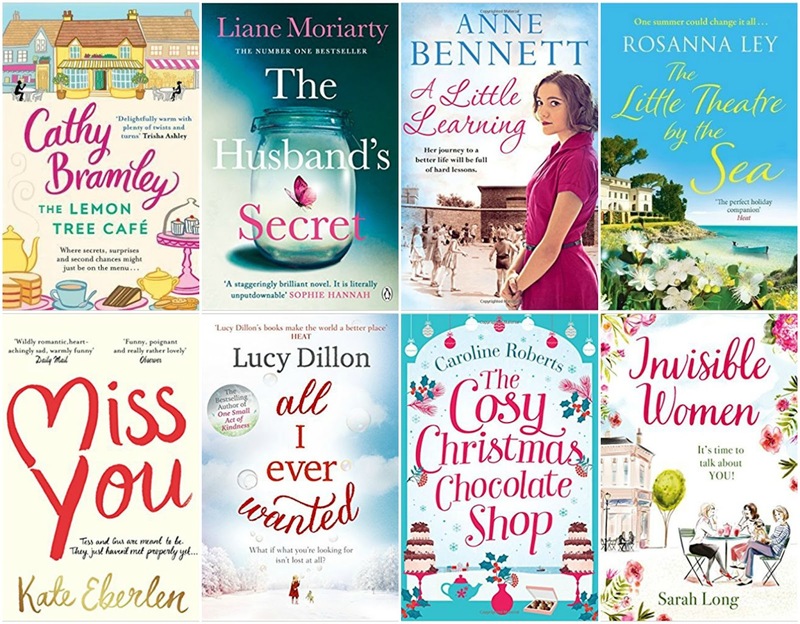 Since then, the ambition has been to write a novel that I’m happy with and that is going to appeal to a wide audience – that’s a tightrope order, but with My Husbands Wives, I hope I’ve managed it. I was a winner in the 2014 Irish Writers Centre Novel Fair – an international competition for emerging writers, the feedback was very positive and complimentary and suddenly, there were possibilities beyond just scribbling a few lines here and a few lines there. My debut novel, ‘My Husband’s Wives,’ is a contemporary women’s fiction novel set in Dublin. It was published initially in digital format by Aria, (Head of Zeus) in May 2016 and has been a top ten best seller in the US, Canada and Australia. In 2017, it debuted as a top ten best seller in Ireland when it was released in trade paper back. In February 2017, my new book, ‘Secrets We Keep,’ was released. This is a contemporary story with echoes from the past, it is about secrets and second chances, it is about love old and new and it is about being brave enough to become the people we’ve always wanted to be. It is very much inspired by where I live and for that reason among others I really enjoyed writing it and I’m so excited about bringing it into the hands of readers. I am currently working on my next novel which is due to be released in December 2017. I live in the west of Ireland with my husband, four children and a very fat cat called Norris. One very lucky reader will receive a signed paperback copy of The Girl I Used to Know by Faith Hogan. Georgie and Abbie are going on a holiday to Mexico. They aren't looking for love since they've both been burned in the past. That is until a gorgeous man runs past their swimming pool and lands facedown in the sand. Georgie is trying to let him keep his dignity by pretending she didn't see his fall. Every day at 11 o'clock Weston will run past them and slowly they go from looking to nodding to a shy hello. Abbie likes the direct approach more and wastes no time. She gets Georgie and Weston to go on a date together. Being on a tropical beach in Mexico, what's the worst that could happen? Georgie has been betrayed by her ex-boyfriend. She was hurt badly at the time, but looking back she must admit that he was never the one for her. Checking out Weston has awakened parts of her body she didn't even know were there. Weston tells her up front that he has secrets which he might never be able to share with her and Georgie trusts him enough to deal with this. What will she do when Weston opens up to her about his past? Georgie is a dog groomer and she loves her job and dogs very much. Her parents don't like her career choice and are a bit snobbish about her friends. Georgie holds her own and I loved how sweet she is. She always helps out and is even kind to people who don't deserve it. The Great Escape is a wonderful story about finding love when you're not expecting it. Georgie and her friends are hilarious and I would have a field day if I would live in the same street as them. Charlotte Fallowfield has drawn a map of Dilbury Village. She's even managed to draw it in a way that also makes sense to me and I’m not skilled in the navigation department. This drawing made it very easy for me to picture Georgie's hometown and the cottages. Because of this I had no trouble at all to connect with the story. 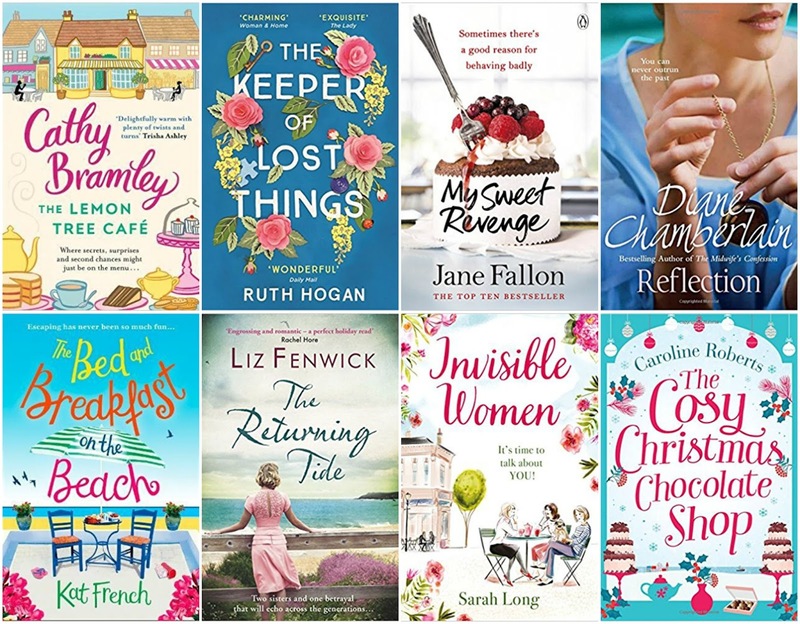 Charlotte Fallowfield has created an amazing group of friends and I hope there will be a third book in the Dilbury Village series. The Great Escape is a great romantic comedy. It’s full of humor and has an overall sweet and heartwarming feeling. 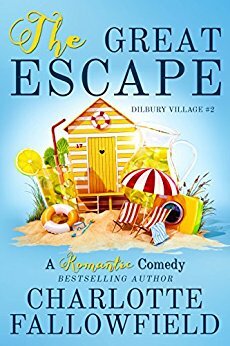 If you believe in love at first sight and you love to laugh out loud while reading The Great Escape would be a perfect choice. It's the second book in the Dilbury Village series, but can easily be read as a standalone. Charlotte Fallowfield is having a book giveaway on Goodreads. You can sign up and hopefully win a signed paperback copy of The Great Escape. The giveaway will end on November 30th. Sera thinks her dad isn't dead like she's been told, she's convinced he is still alive and she's looking for him. Something sinister is going on in her city and her archenemy Fabian Gore is involved in it somehow. However circumstances force her to work together with the man she despises. Sera is worried about her mother, who's under Fabian Gore's spell. Why do people like him so much and what is he actually doing? Sera used to be able to rely on Night Angel Peter, but their relationship is complicated. She's part of a powerful group now, but they can't help her with her quest. She needs to find her dad by herself. With a little assistance from her human friend Jimmy she finds a way into one of Fabian Gore's suspicious properties. Will she find the clues she needs there? Is there a chance Sera and her dad will be reunited? 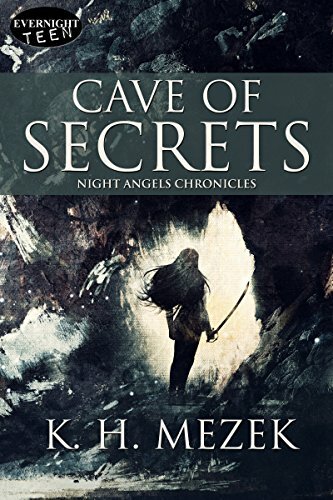 Cave of Secrets is another fabulous story about Sera and the mysteries she needs to uncover. Sera is a strong girl with a good heart. She's fierce, resilient, smart and impulsive. I like her fiery nature and her brave character. She doesn't stay away from dangerous situations if it means she can rescue someone she loves or gather more information about the mission her father has given her. The Third Night Angels story intrigued me just as much as the first two and I read the story in one sitting. K.H. Mezek's writing has an easy flow. She combines gripping fantasy with important life lessons about self control, drugs and depending on the right people. I love the subtile way she does that. Sera has an important mission that fascinated me from the beginning. It was interesting to see how she finds more and more pieces of the puzzle she needs to solve. She is a fantastic heroine and I really enjoyed reading another part of her story. If you love fantasy and like a good mystery the Night Angels Chronicles would be a great choice. I'd start with Key of Mystery and read the books in their correct order. Karen Hunt aka KH Mezek is, more than anything else, an adventurer. 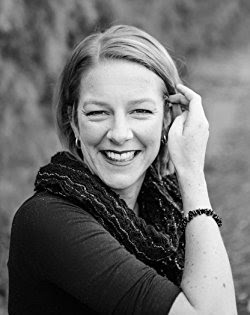 For the past two years she has been traveling the world, from the minarets of Istanbul, to the Sahara Desert, to the jungles of Costa Rica, writing her YA Urban Fantasy series, NIGHT ANGELS CHRONICLES. 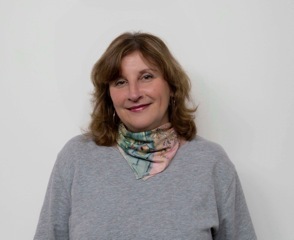 Karen is the co-founder of InsideOUT Writers, a creative writing program for incarcerated youth, and the founder of the MY WORLD PROJECT, connecting youth in remote areas through art and writing. She is a 2nd degree black belt in Tang Soo Do, a first degree brown belt in Eskrima, and a boxing and kick-boxing trainer. Her love of travel and adventure started as a child when her family escaped out of Egypt right before the 6 Day War, lived in a 17th century castle in Switzerland and smuggled Bibles into communist countries, along with many other exploits. It’s hard to say where her adventures will lead her next, but her bag is packed, her passport is up to date and she is ready to go. It is absolutely true (and verifiable in a January 29, 1934 Los Angeles Times article) that there is a Native American legend about a Lizard City built beneath Los Angeles 5,000 years ago by an advanced civilization to escape a rain of fire. More than 280 tunnels exist beneath the city and somewhere below that maze lies a chamber holding a tablet upon which are written the Secrets to the Origins of Life. Anyone possessing the tablet—who can read and understand it—will have the power of God: the power to create and destroy worlds. In 1933 mining expert Warren G. Schufelt presented enough evidence to the LA City Council that they funded his excavation to find the ancient city and its buried treasure. Schufelt had claimed to have almost tunneled down to his destination when he mysteriously disappeared. But the search for the tablet did not end there, it was only the beginning of deeper mysteries…. Our reluctant hero, has just turned eighteen when her father dies in a mysterious accident beneath the city of Los Angeles. Her father, Theo, was a geophysicist, hired by Solid Ice Corporation (SIC) to work on the new underground transportation system—something the city of Los Angeles has been trying to build forever. Sera, her brother Salem, and her mother, Celia, live in one of the most exclusive private communities in Oak Haven. When Theo dies, all he leaves behind is an ancient key in a black box…and a pile of debts. Horrible things are said about him, that he had a gambling problem, that he spent his money on women and drugs. Salem becomes angry and turns against their father, believing what’s been said. Sera refuses to turn against her dad. She puts the key on a chain around her neck and vows to discover the truth of what happened to him. friends unceremoniously abandon her. Only one, super smart and hyper-active Scooter, stays friends with Sera. This is where Sera finds a real home at last. Inside her mobile home, where she lives with her pill-popping mom and angry brother, a spiritual battle ensues, when a mask appears on the wall. Later, Sera begins to realize that someone is behind the mask, and Sera suspects it is the Queen, the most ancient of vampires, the first to be created by Lucifer. The Queen is imprisoned in the Life Box in the Sinai Desert, but someone is funneling power to her to help her to escape. As the evil grows in Oak Haven, Cliffside becomes a haven for those who want to fight against it. Fabian Gore is the president of SIC and he becomes the new mayor of Los Angeles. He is also the most ancient denizen, once a Pharaoh and husband to the Queen. Their story is a terrible and tragic one that Sera discovers once she becomes a denizen herself. Gore is after the key that Sera wears around her neck. He believes that he is the savior of the world. He will do anything to secure his power. He can transform into a hideous monster and he begins to infiltrate Sera’s nightmares and her family. Sera suspects that he has either killed her father or is keeping him a prisoner. Gore promises to solve all problems, both for humans and denizens. Sera hates him with all her being, as he gains control over both her brother and her mother. Her mother turns from her drug and alcohol addiction to an addiction to Gore. In Book of Angels, Sera finds out more about Gore’s research institute where he experiments on humans and he is creating undead who do his bidding. He also controls the entire pharmaceutical industry and offers human a wonder pill and a solution to the homeless problem that people are willing to accept without question. The Night Angels are a group of five denizens who have been sent to Oak Haven, first to find Sera’s father, and when they realize they are too late to do that, to protect Sera. Denizens are evolved vampires and the Night Angels are the most powerful of all denizens. There is a whole history to the denizen and vampire race, which I will go into in a later post. Sera falls in love with Peter Hergovich, one of the Night Angels. In the beginning, she knows very little about him except that he is unlike anyone she has ever met and her attraction is something she doesn’t understand. He is arrogant, princely and she feels instinctually that he is dangerous. When the Night Angels show up in town, they are all treated as exotic and interesting outsiders by Oak Haveners. The Night Angels keep to themselves and soon interest in them wanes in the town. But when Sera begins having horrible nightmares about being attacked by a monster, it is Peter and another of the Night Angels, Professor Strejan who save her. Peter opens up to her a little bit, explaining about his princely past and how 500 years ago he was sold by his father to Mehmed II of the Ottoman Empires, and that Strejan, his tutor, was sold with him. Sera catches a glimpse of the torment inside of Peter. She can’t imagine what it must be like to have done all the terrible things he claims to have done in the past and then to have to learn how to deny his vampire nature and find a better way to live. This is all a bit much to believe, but so many strange things begin happening, Sera isn’t sure anymore what is true and what isn’t. Key of Mystery ends with something terrible happening to Sera and Salem, which you will have to read for yourself. Sera is saved by the Night Angels and Salem is saved by Fabian Gore. This means that sister and brother are now forever committed to opposite sides of a battle that rages worse with each book in the series. The Turning represents what can happen to any of us, the choices we must make and how maybe they aren’t choices at all, but we all have our own fates. Sera’s turning happens in Strejan’s castle in Slovenia. I can’t tell you about that turning, once again, you must read it for yourself. With it, Sera enters a world hidden to humans, one with demons and angels, ancient vampires captured with stakes through their hearts, and battles fought on both spiritual and physical levels. Sera begins her journey to understand her destiny. She has been chosen to be the 7th Angel, the one who can read the Book of Angels and ultimately, the Secrets to the Origins of Life. She doesn’t know how she can trust that this is true or not true, or that she can trust those who tell her it is true. Even Peter. Because who wouldn’t do anything, behave in any way, try to deceive her so that they could get what she has? Who wouldn’t want to have the power of life and death, to know its secrets? But as the only one on earth who knows what it feels like to truly have that as a possibility, with the key around her neck and slowly sinking deeper and deeper into her skin, Sera isn’t sure she wants that power. Ultimately, in the last book, Door of Destiny, she will have to face that final chapter. Until then, she must battle her enemies, hang on to her friends, and fight to remember what it means to be human. But then, again, are humans any better than the vampires and the denizens? Are they worth saving? Or should it all be destroyed and a new world made? When Sera discovers terrible secrets that the denizens have kept from her, she becomes disillusioned, with her human friends and with denizens alike. In Land of Talismans, she goes on a journey with rebel denizen Dante to face the truth of what she has become as a denizen. From there, she realizes she has no choice but to face the International Order of Denizens. To fight all of them if necessary, even Peter, and discover who has been channeling power to the Queen and why. When the Queen does, in fact, escape, this leads to the ultimate battle and the moment when Sera must open that final door. One very lucky reader of With Love for Books will receive a digital copy of Cave of Secrets by K.H. Mezek. Fairlie is devastated when she loses her best friend Jenna. Fairlie knew something wasn't right with her friend, but never expected Jenna to die. Even though Fairlie's been told exactly what happened, Jenna's death feels suspicious and Fairlie is worried about Jenna's son Henry. He's a young boy and leaving him with Ark, his father, makes her uncomfortable. However, there isn't much she can do. Why did Jenna die and what was she hiding? When Fairlie receives a letter from Jenna that was sent before she died Fairlie knows she has to do something for her friend. Even though Jenna isn't there anymore Fairlie can still do her very best to uncover the truth. While trying to find out more she discovers past secrets that change everything she thought she knew. A mother's love for her child can go far, really far. What will Fairlie do with her knowledge and how will it change the way she lives her life? The Good Mother is a fantastic gripping story. I was immediately intrigued by Jenna and her mysterious circumstances. It's clear from the start something's seriously wrong in her life. My heart ached for her and I read her story with tears in my eyes. Jenna used to be carefree and fun and she and Fairlie had such a wonderful warm friendship. It broke my heart to see the changes and I was anxious to figure out what caused them. Fairlie is a kindhearted person with so much love to give and she and Jenna had a perfect connection. I was curious to find out more about their friendship and Jenna's relationship with her family and their story kept me on the edge of my seat. Kim Lock knows how to build tension. She skillfully delivers plenty of surprises to her readers and I loved every single one of them. The Good Mother is a strong story about friendship, family, being a mother and love. There's sadness, grief and destruction as well as hope and goodness. I loved the contrasts, was intrigued by the secrets and couldn't turn the pages quickly enough to find out the truth. I love it when a book manages to captivate me from beginning to end. The Good Mother is an amazing story and I highly recommend it. 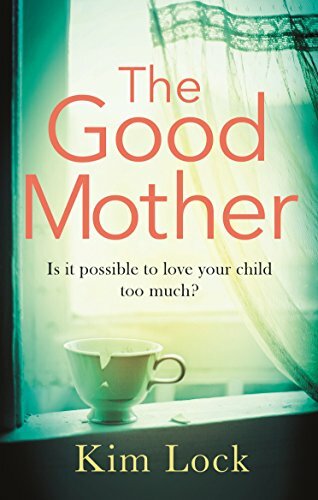 If you love original gripping thrillers The Good Mother would be an excellent choice. Kim Lock was born in Mount Gambier in the 1980s. In her early twenties she moved to Darwin, where she spent several years as a senior graphic designer for the Northern Territory’s top advertising agency. As always, she wrote—but she kept it to herself. After living in Darwin, Melbourne and Canberra, Kim returned to South Australia, where she lives in the Barossa Valley with her partner and children. Inspired by a fascination with the tales that develop behind closed doors, Kim’s fiction explores the stories that shape people’s lives, but that they hide from society. Kim qualified as a breastfeeding counsellor when her first child was young, and has volunteered supporting parents in this role for almost ten years. She has a particular passion in activism for women’s rights in pregnancy, birth and motherhood. Kim Lock's debut novel, Peace, Love and Khaki Socks, was released by MidnightSun Publishing in 2013. Her second novel was selected to participate in the QWC/Hachette Australia Manuscript Development Program 2013 and was released by Pan Macmillan Australia titled Like I Can Love in March 2016. (Titled as The Good Mother with Little Brown, UK and Random House, Germany.) Her writing has also appeared in, amongst others, Kill Your Darlings, The Guardian, Daily Life, and The Sydney Morning Herald online. In between writing, Kim works as a freelance graphic designer. Kim's third novel, The Three of Us, will be published by Pan Macmillan Australia in 2018. 2) Could you describe the main characters of The Good Mother in six words each? Jenna: Ultimately, is she a reliable narrator? 3) You’ve lived in many different places in Australia, what have you learned from moving around so much and where’s home? I grew up in a conservative town in the country, where conforming and ‘fitting in’ was seen as important. Although I didn’t realise this until, at 20, I moved to tropical Darwin, where everyone was friends with everyone, and it was too hot to care what anyone else thought! Melbourne introduced me to the beautiful anonymity of a large, cosmopolitan city (and I gathered quite a collection of knee-high boots); Canberra is where my children were born, and I met some amazing like-minded women. I feel a little piece of home in every place I’ve lived – friends, favourite take-away or cafes, parks or nature reserves. But South Australia is always home. I am glad to be living here again now, currently in the beautiful Barossa Valley. 4) How does getting to know your country so well influence your writing? Australia is so enormously spread out – and its cities, rural areas and cultures so varied – I couldn’t claim to know the country well at all! But each area I have lived in has left a mark on me in some way, and I often feel nostalgic for a certain place. Writing landscapes, sights, smells and weather allows me to return to places I’ve loved, and pay a sort of homage. 5) You write about secrets, things that are being hidden for many different reasons, what’s the most interesting thing about this and how do you explore the whole range of emotions that come with it? Humans are complex and endlessly unique creatures, and our relationships equally so, yet socially we have a rather narrow description of what we promote as ‘normal’ or ‘acceptable’. I find this so intriguing, fascinating, and heart-breaking. A little empathy goes a long way. 6) You are passionate about women’s right in motherhood, birth and pregnancy, how did you discover this passion and how does it influence your daily life? When I had my first child, I began to realise how our social ideals of pregnancy, birth and motherhood infrequently fit with women’s actual experiences and feelings. One only needs to look at the deepest divisions on social media or in parliament to see how women’s reproductive and maternal rights are an issue that is still not seen as individual but collective. This public sense of ownership of women’s bodies affects everyone, every day, in every way. 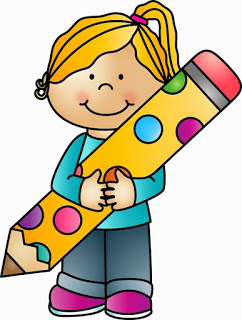 7) You’re a writer and graphic designer, what’s the best thing about the combination of these two creative professions? 8) What’s the best thing about writing books about interesting women? The opportunity to explore more deeply my own ‘what ifs’, and learn about the experiences of other women. 9) In The Good Mother you write about complex relationships, how do you get to the bottom of those difficult connections? By listening. Women are crying out to have their stories heard, and we live in an age now where the internet makes that possible. Listening to women’s voices – and believing them – is a humbling, painful and enriching experience. My next novel, THE THREE OF US, will be released in Australia and New Zealand in February 2018, so I’m currently undertaking the last round of proofreading! I also have a new novel that I’ve begun playing around with . . . Thank you for these great questions, it has been fun chatting with you! One very lucky reader of With Love for Books will receive a signed paperback copy of The Good Mother by Kim Lock. Enter this giveaway for a chance to win a Jane Austen Tea Collection tin with several loose teas from Rosie Lea Tea and a Jane Austen Pride and Prejudice necklace made by The Locket Library. Good luck! Six years ago Kate left her family and the love of her life, Marc, behind. She never looked back, but she returns to Willow Valley for her grandmother's funeral. Kate has become a professional in locking away her feelings. She doesn't want anyone to find out the terrible secret that made her leave so many years ago. After many years of staying away being home feels really good. Will Kate be strong enough to face her fears and fight for the dreams she had to let go before? Marc's heart shattered when Kate left without a word. He used to be a scrawny looking young boy, but is now a handsome man with a tender heart. After his father passed away Marc took over running the Caliendo Resort in Willow Valley. He never thought that Kate being back would stir up so many old feelings. He never loved anyone else, it has always been Kate. Is Marcs heart big enough to forgive Kate when he finds out the truth about why she left? Kate and Marc are absolutely right for each other. They are soul mates and sparks fly every time they meet. Both of them have a lot of heartache and regrets to work through. I loved to follow their individual journey and was curious to see how they'd deal with these issues. Kate and Marc have always been there for everybody else and now the time has finally come for them to think about themselves and it was interesting to see where that would lead. I loved to read about the strong bond they have with their family and how they all look out for each other. Lakeshore Secrets is a beautiful story about giving your first and only love a second chance. It's about family, secrets and forgiveness. From the very beginning it's obvious that Kate has kept the reason why she went away a secret from everybody and I couldn't wait to find out more about this. Shannyn Leah keeps the story interesting, always giving just the right amount of information at the perfect time. I loved the chemistry between Kate and Marc and I had no trouble at all to connect to the main characters. I love Shannyn Leah's writing style and I can't wait to read her stories about the rest of the McAdams family members. If you love to read about true love, second chances and family secrets Lakeshore Secrets will be an excellent choice. 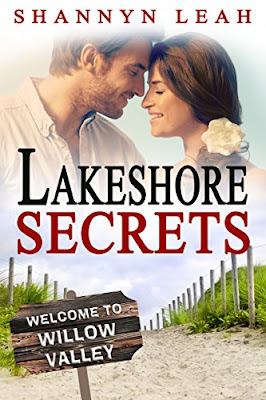 Lakeshore Secrets is free on Amazon. If you sign up for Shannyn Leah's newsletter you get three of her books for free. 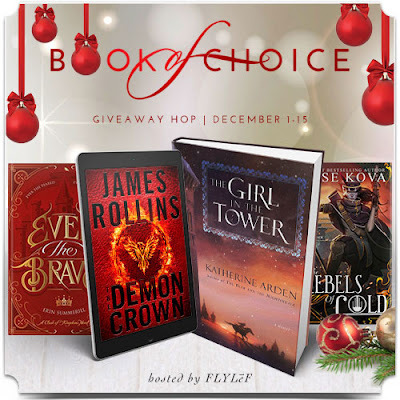 Enter this giveaway for a chance to win YA books of choice worth $25. Good luck! Lucy loves books and she likes being among people, so working at a library is exactly the right kind of job for her. She organizes a book club, so she can get to know her visitors better. Lucy loves helping people, she's always trying to solve other people's problems, and her members are grateful subjects. There's Lia, who's taking care of her sick mother every single day and needs a break every now and then. Oscar has lost his beloved wife and needs a distraction from the grief. Hattie is a single mother with family problems who's trying to start her own business. Callum is looking for a job and is dreaming of a fulfilling future being content and secure. They could all use Lucy's help, however, will Lucy's plans to make their lives better actually work and what will be the effect on her own life? Lucy's Book Club for the Lost and Found is a wonderful heartwarming story. I immediately loved the main characters. Lucy is adorable. She's smart and capable and has a very special personality. Callum is gentle and friendly. His goodness is absolutely amazing. Lia is dedicated and caring. She wants her mother to be happy and is taking such good care of her. Hattie is a loving mother, she's someone with a kind personality who's going through great lengths to make other people happy. Oscar is a nice and chivalrous man with impeccable manners. He's a bit lonely, but he makes an effort to fight the emptiness, which is admirable. Emma Davies writes about such a fantastic group of people, it's easy to love them and reading about such precious souls put a big smile on my face. 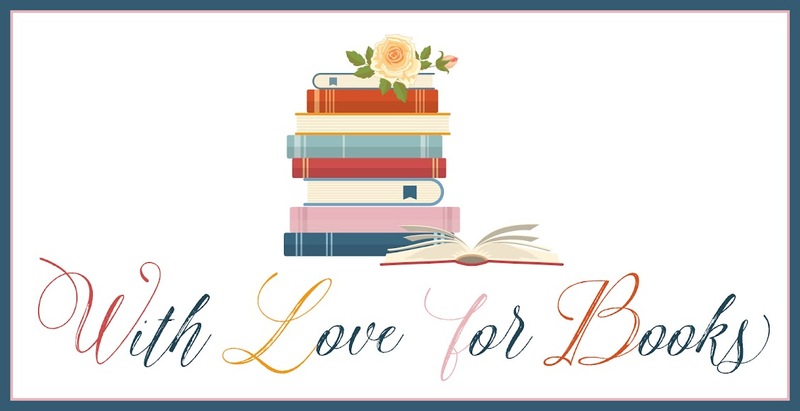 Lucy's Book Club for the Lost and Found is an original story about being there for one another, helping others and finding that special person to love and cherish. It's a real treasure of a book. 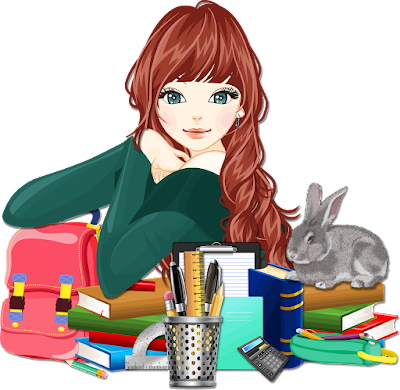 Even though every main character has gorgeous personality traits they have their problems and flaws as well and therefore the story never becomes too sugary, it has exactly the right dosage of pleasantness and warmth. Emma Davies combines this with an engaging and compelling plot and the result is absolutely amazing. Emma Davies knows how to create the right atmosphere. It's what I love the most about her stories. She uses both her settings and the interaction between her main characters to achieve this and they're always perfectly in tune. 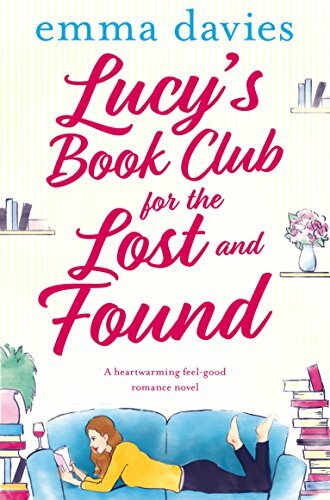 I love a great feelgood story and Lucy's Book Club for the Lost and Found definitely falls into that category. It's a multilayered story with plenty of unexpected twists and turns and many fabulous surprises. The ending is delightful and fitting, precisely as it should be. I really liked this beautiful book and highly recommend it. If you love reading about gorgeous people inside and out and like feelgood stories Lucy's Book Club for the Lost and Found is an absolute must-read. 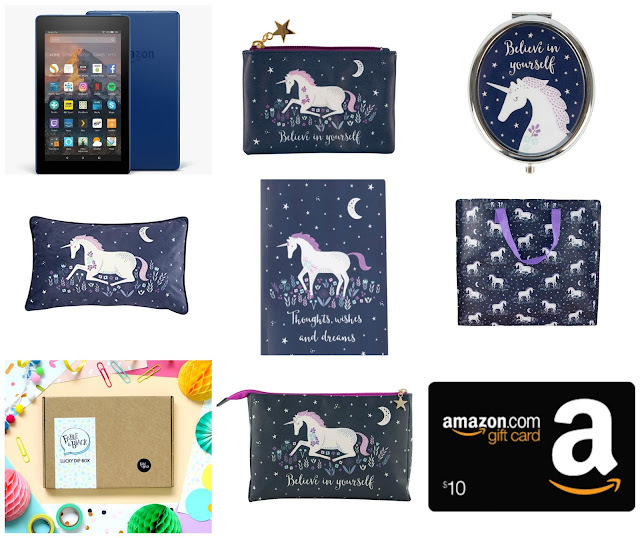 Enter this giveaway for a chance to win a blue Kindle Fire 7 with a $10 (or your country's equivalent) Amazon gift card, a Sass & Belle Unicorn tote bag, wash bag, coin purse, notebook, mirror and pillow set and a Fable & Black Lucky Dip bookish surprise box. Good luck! Jane hasn't left the house since her husband died under suspicious circumstances. Jane and her husband did everything together and she's having a hard time coping with her grief. Jane wants to sell the house and has put up a for sale sign in the yard. Why was her husband's body never recovered and is Jane really as helpless as everyone thinks? 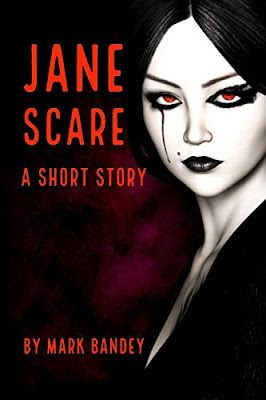 Jane Scare is a short story about a mysterious widow. I always love a good scare and I was curious to find out more about Jane. Mark Bandey created a creepy atmosphere from the very first lines that fits the cover and the title perfectly. Mark Bandey is a new author for me and I liked this first story, so look forward to reading more of his work. If you're looking for a creepy story that you could easily read during a short break I think Jane Scare would be a great choice. Jane Scare is free on Amazon on November 24th. Josie and Mitchell are living at the Indian Paintbrush Community for Sustainable Living, a commune in the beautiful mountains of North Carolina. Josie and Mitchell used to be best friends and they do still spend time together at Paintbrush, but at school they never interact. Josie loves everything about Paintbrush. She likes being outside, she loves working in the communal gardens and she enjoys spending time with everyone in the community. Mitchell can't wait to leave Paintbrush behind, he wants to go to a good university and is always working on his grades. When Mitchell's world falls apart he needs someone to lean on and surprisingly that person is Josie. He begins to see her in a completely different light. However, Mitchell wants to get away from Paintbrush straight after graduation and Josie isn't planning on going anywhere, will they ever have a chance to find out if they can be more than just friends? Paintbrush is an original romantic story. Josie is a wonderful person. She's kindhearted and caring and she's perfectly at ease with herself, which is something I greatly admired about her character. Mitchell is going through a lot and his emotions are all over the place. He thought he had everything figured out, but life at home messes things up for him completely. I could feel his pain and hoped he'd eventually find peace with his new situation. Mitchell and Josie are both dealing with family problems, which makes them become even closer. I liked that even though their connection started because of limited availability it develops into something much more. They have a gorgeous precious bond that I loved reading about. Paintbrush is a unique setting and Hannah Bucchin makes it come to life incredibly well. I loved the community spirit. Everyone is looking out for each other and people are generally friendly. When there are problems they solve them in a peaceful way. I could easily imagine that being part of a large community would be overwhelming for Mitchell, but could also see the other side, the safety that can be found in being cared for by many others, which is part of what Josie finds so appealing about it. Hannah Bucchin uses their feelings and opinions to paint a complete picture of the setting that plays such a vital part in her story and she does this incredibly well. I really loved Paintbrush and highly recommend this special book. If you love romantic YA stories with an original setting you will definitely like Paintbrush. Hannah has spent her life falling in love with beautiful places, both real and fictional. 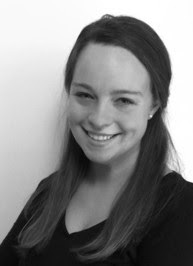 She grew up in charming Bethlehem, PA, went to college in sunny Chapel Hill, NC, spent a summer studying wildlife in Tanzania, volunteered on organic farms across New Zealand, and hiked all over Acadia National Park in Maine. When not writing, reading, or adventuring, she likes to daydream about the dog she'll adopt someday, listen to music from the sixties, and exchange ridiculous texts with her parents and siblings. Paintbrush is her debut novel. 1) Can you tell our readers a little bit about yourself? Of course! I'm an avid read, writer, and lover of the outdoors. Going on adventures is my favorite thing to do - both literary and in real life. I grew up in Pennsylvania and currently live in Asheville, North Carolina. I love dark chocolate, weird-looking dogs, and books about friends and love and friends in love. 2) Paintbrush is set in a commune, where did you find the inspiration for your setting? The commune setting in Paintbrush was inspired by the scenery and culture of Western North Carolina, where I currently live. The mix of hippie life and country life, combined with the beautiful mountain scenery, inspired me to come up with the idea of two teenagers growing up in a hippie commune, and the characters and story grew from there. 3) Could you describe the main characters of Paintbrush in six words each? 4) What's the most special thing about falling in love with your best friend? Falling in love with your friend is so unique, because it's like discovering an entirely new person. It's sort of like opening a present that you were certain was one thing, and discovering something completely different and even more awesome than you thought. 5) You've traveled quite a lot, what was your best experience? The places I've been lucky enough to experience are all so different, so this is a difficult question. In New Zealand, I got to hike a four day, 30 mile trail along the coast, which was amazing. Going on safari in Tanzania was pretty spectacular as well. Plus, baby elephants are hard to beat. 6) What did you learn from your travels? The short answer is: a lot. 7) Paintbrush is your first story, what was the writing process like? Since this was my first time writing a full novel, I had to discover my writing process through trial and error. I quickly discovered that I needed to be on a schedule to make any real progress, so I fell into a weekly routine. I also discovered that I could only write a maximum of 2,000 words in one sitting. No matter how determined I was to write 5000 words in one day, no matter how long I sat at my computer, I was never going to write more than 2000 words that were actually good and usable. This was an important lesson for me to learn, so I was able to stop beating myself up for not getting more done. The most important lesson was that writing is more important than outlining (at least for me personally). I get easily overwhelmed with trying to create a perfectly accurate and detailed outline. The truth is that sometimes characters have a mind of their own. Overplanning actually inhibits my writing, so I try to just give myself a very basic outline. 8) You like going on adventures, what are the best kind in your opinion? For me, the best kind of adventures are the kinds that have a mission to complete. I know that's not very spontaneous of me, but I love having a goal and accomplishing it - whether the goal is to reach the top of the mountain or to find the best milkshake in town, I love having a feeling of accomplishment at the end. 9) How did you translate your love for nature into your story? Mitchell and Josie spend a lot of time out in nature, and many of the places they travel to are inspired by real-life places I've been to. The lake, the cave, the mountain swimming hole - none of those actually exist, but they are heavily based on real places I've explored. I am currently in the process of writing another novel. This one follows the lives of two sisters over one summer in Maine. It's still YA Contemporary, and it still has a romantic storyline! 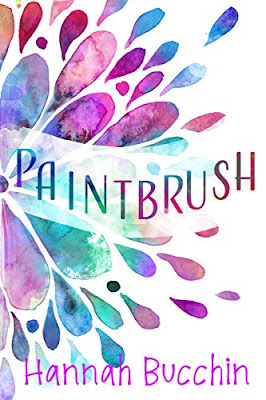 One very lucky reader of With Love for Books will receive a kindle copy of Paintbrush. Pacey and Vicky are drooling while looking through the window at their new neighbor Ryan. After some friendly encouragement from Vicky, Pacey goes outside to introduce herself. Instead of the nice conversation she was hoping for, Ryan is rude and grumpy. This was not what Pacey was expecting. Being neighbors means that they're bound to run in to each other every once in a while. Will Pacey ever see the real Ryan, the person who's carefully hidden behind his rough exterior? Pacey has been blessed with a solid foundation in life provided by her parents. After she graduated Pacey worked hard. Being a smart business woman made her financially stable. Pacey and Vicky opened up their own bakery and are very successful. Ryan chose passion over money. His son inspired him to set up a business that helps children with a physical disability. This decision cost him his marriage since his wife loved money more than him. Pacey and Ryan are both kind and loyal. Once they got past their prejudices against each other they couldn't deny their obvious attraction anymore. Now that Christmas is coming, will this magical season show them true love? Santa Kisses for Sale is a fun and sweet love story. I loved the main characters and how much they're a part of their community. Kelly Moore promised me that Santa Kisses for Sale would make me laugh and it certainly did. I had a constant smile on my face while I was reading this wonderful story. 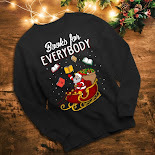 Christmas is my favorite time of the year and I really enjoy to read books with a Christmas theme. I always love Kelly Moore's books and this is another story by her that made me incredibly happy. If you love to read sweet and lighthearted love stories Santa Kisses for Sale would be a perfect choice. Santa Kisses for Sale is free on Amazon until Saturday.